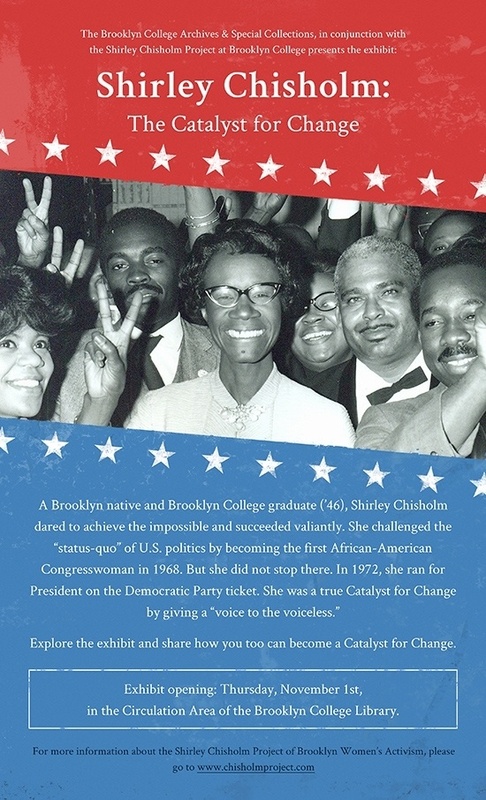 The Shirley Chisholm Project invites you to visit the brilliantly curated exhibit at The Brooklyn College Library about Chisholm's historic presidential run. It is a great way to celebrate the 2012 election! Shirley Chisholm Day is Tuesday November 27th, 11-12:30 and will be held in The Woody Tanger Auditorium at The Brooklyn College Library. In order to celebrate Chisholm’s unwavering support for women’s reproductive freedom – and boy was this topical! – we have invited two leading experts/activists to speak about women’s reproductive rights – Loretta Ross and Iris Lopez.